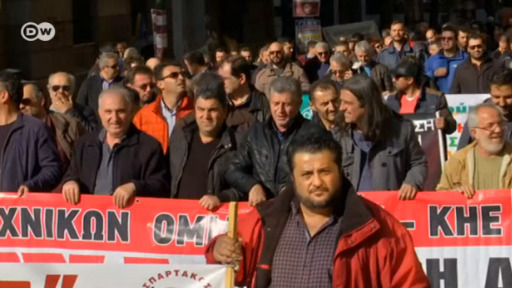 Trash collectors have gone on strike in Greece, protesting for permanent jobs. Piles of garbage are causing stench in Athens. 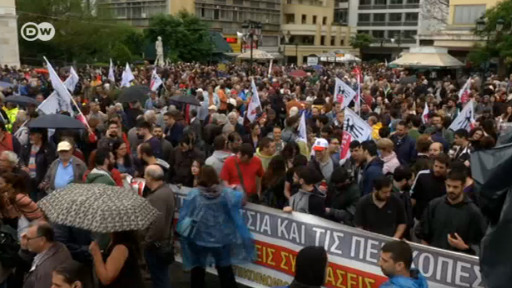 Tens of thousands of people flooded the streets of Athens to voice their disapproval of a name deal with neighboring Macedonia. Greece's parliament is due to vote this week on whether or not to ratify the deal. Greece has emerged unscathed after an earthquake with a magnitude at least 6.4 struck off the west coast. The tremor could be felt as far away as Libya. Freed from the strict orders of international creditors, Greece is now witnessing a financial recovery. But years of biting budget cuts have left the country scarred and many Greeks starving. Anthee Carassava reports. Greece and Macedonia have reached an agreement in their long-running dispute over the name of the former Yugoslav republic. Senior officials from both the EU and NATO have welcomed the agreement.